Panasonic has debuted several power assist devices that seem to be straight out of science fiction classics. Released on March 1, this video features applications of the “advanced control and sensor technology,” that Panasonic has been developing. Their “Assist Suit AWN-03” is specifically designed to assist with strenuous lower back movements. 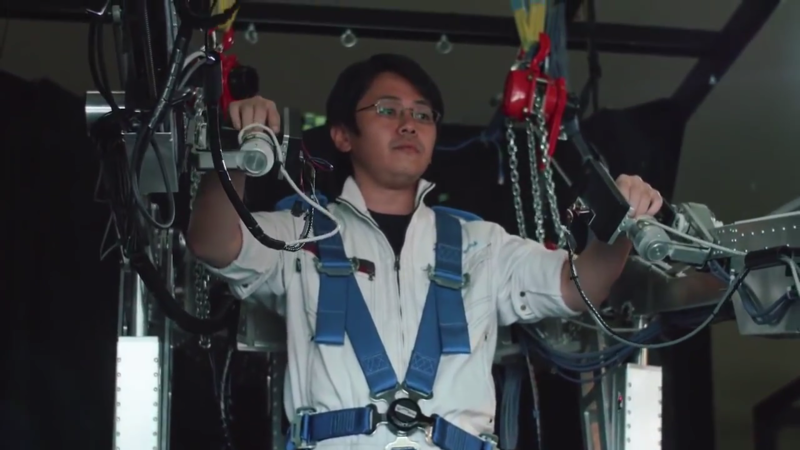 The suit features an “auto assist mechanism” which senses the motions of the wearer and provides support when holding and lifting objects. Panasonic says that the AWN-03 can reduce back strain by about 33 pounds, or 15 kg, during loading tasks. The “Self-Reliance Support Robot” is a truly innovative concept. The robot senses the movements of the wearer, providing the necessary strength for elderly and weakened persons to perform simple tasks, such as standing, walking, and using the bathroom. By supplementing the wearer’s remaining muscle strength, it not only helps patients move about by themselves with dignity, but combats the atrophying of the patient’s muscles. Panasonic has applied their assist robots to nursing care. 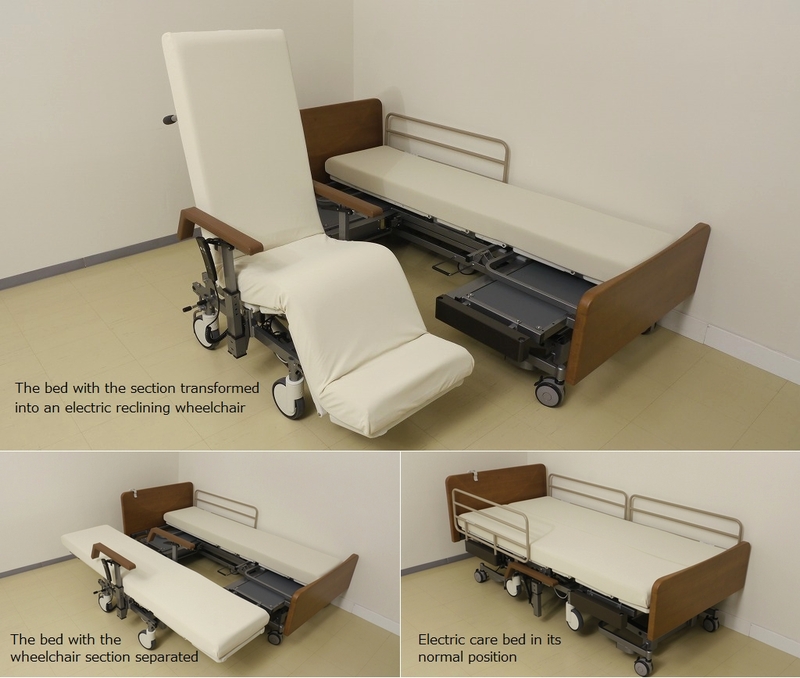 The “Resyone”—a combination electric hospital bed and electric wheelchair—helps both nursing staff and patients by lessening the lifting strain on staff and increasing dignity and mobility of patients. The Resyone is a much needed innovation in nursing care (Panasonic). Resyone is the first robot to be compliant with the International Organization for Standardization (ISO) 13482 regulation, which specifies the use and application of a “personal care robot,” particularly a “mobile servant robot, physical assistant robot, [or a] person carrier robot.” The Japanese company hopes the Resyone will be used overseas.